Kristen Marquis of WebPresence, Esq. Joins SMBA Board of Directors – Web Presence Esq. SANTA MONICA, California — January 7, 2013 — The Santa Monica Bar Association (“SMBA”) recently announced that Kristen Marquis, Attorney at Law and Founder of WebPresence, Esq., was elected to SMBA’s board of directors. Kristen joins a group of esteemed Santa Monica attorneys; including David Olan of Olan Law, the incumbent SMBA President. 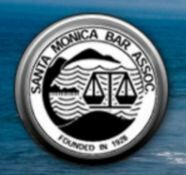 Founded in 1928, the Santa Monica Bar Association provides its members, the courts, and the community with a variety of services, activities and commitments. At WebPresence, Esq., Kristen is responsible for developing and executing all of the company’s long-term growth strategies, launching new services, developing new business, and defining WebPresence, Esq. as the premier resource for attorneys and law firms looking to expand their brand. She founded WebPresence, Esq. after noting a need in the legal marketplace for quality, ethically-sound social media and online presence management campaigns. Previously, she was practiced corporate law at a well-respected law firm in Santa Monica, CA. Kristen is a graduate of the University of Texas at Austin’s Red McCombs School of Business, where she was also co-captain of the Women’s Swimming and Diving Team. Kristen received her Juris Doctor from the Pepperdine University School of Law and during her studies, served as the student representative for several organizations; including the American Bar Association. An internationally-ranked springboard and platform diver and All-American college athlete, Kristen brings a unique perspective to the Board with her strong understanding of teamwork, diligence, and the new media. WebPresence, Esq., a Web Presence Management company run by attorneys for attorneys, is dedicated to providing progressive, effective web-based business development services to attorneys and law firms across the country. WebPresence Esq. offers website design, social media campaigns, legal blogging, video marketing, and online reputation management. The attorneys turned new media experts at WebPresence, Esq. assist legal professionals in becoming local and national resources and thought leaders, securing them media placement and recognition. Additionally, WebPresence, Esq. manages a lawyer’s most valuable asset: his or her reputation; obtaining premium search result page placement that accurately represents the attorney’s long-established practice, as opposed to the review of one never-satisfied client. The SMBA provides professional opportunities and benefits, personal and professional development, practice development, public service, and networking events to lawyers in Santa Monica and throughout Southern California. Additionally, it offers a lawyer referral service to individuals looking to hire a well-qualified attorney.